Although the Association of periOperative Nurses (AORN) has published surgical attire guidelines for many years, questions remain about what constitutes appropriate surgical attire in various settings. 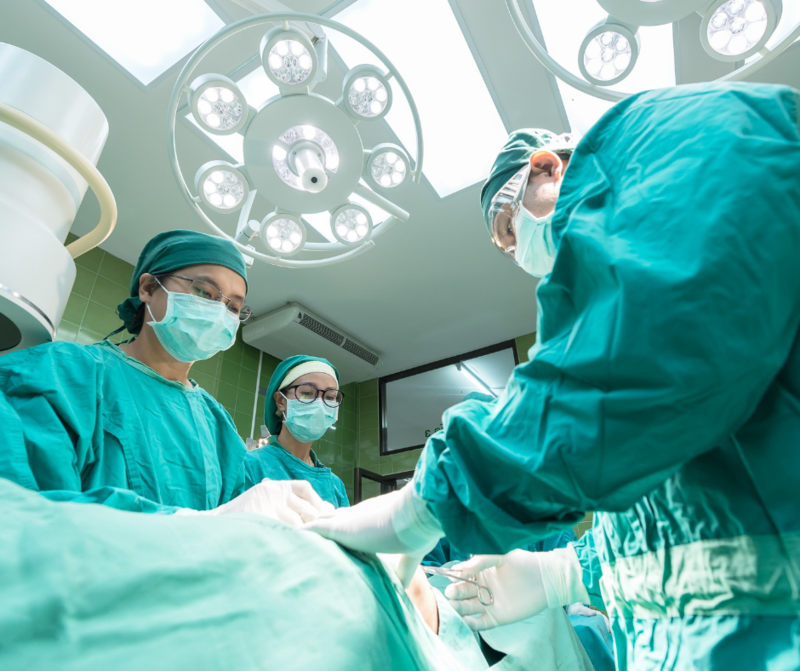 The goal of the surgical attire guideline is to reduce microbial contamination throughout the continuum of care in the surgical suite to prevent surgical site infections. Ensure the attire worn in each area of the procedure or surgical suite conforms to the recommended attire for that area. For example, the semi-restricted zone requires surgical scrubs and a hat. Wear facility laundered (not home laundered), clean attire in semi-restricted and restricted areas. Wear long sleeved, fully buttoned/snapped closed jackets or long-sleeved scrub shirts in the restricted area. This guidance applies to all personnel in the surgical environment, not only to perioperative nurses. Ensure all items of personal clothing such as T-shirts are completely covered by scrub attire. Use a facility approved disinfectant on personal items (briefcases, phones, etc.) entering the surgical suite. Masks should either be “on” or “off”. Masks should be tied on the top and bottom, with the nose and mouth completely covered. Masks should not be “partially” worn: dangling about the neck or from one ear. Don’t cite AORN surgical attire standards as the guidelines you are following and then opt not to follow the guidelines completely. For example, if the surgical suite claims to follow AORN surgical attire guidelines, all elements must be followed since that will be the expectation of surveyors. Do not remove hats when leaving the surgical suite. For example, when going to lunch. Don’t allow contaminated shoe covers or boots to leave the procedure or operating room. Shoe covers or boots should be removed prior to leaving the procedure or operating room. Briefcases, backpacks, and other personal items that have been disinfected should not be placed on the floor. Personal items that can’t be adequately surface disinfected should be placed in a plastic bag or contained in another manner. Don’t enter the bag while in the restricted or semi-restricted areas. The 2014 AORN guidelines created quite a stir with the recommendation to ensure all head hair, facial hair and ears are covered when in the semi-restricted and restricted areas. Although not stated in the AORN guidelines, many surgical suites took the stance of banning skull caps. As perioperative management endeavored to comply with these new guidelines, the American College of Surgeons (ACS) issued a protest to the banning of the skull cap. According to ACS, the skull cap is symbolic of the surgical profession. Over the years, several research articles have been published, that directly or indirectly dispute the need to cover all head hair, facial hair and ears. Here are two of the best articles we’ve found. Most recently, several professional organizations and the Joint Commission (TJC) held a ‘meeting of the minds’ to discuss this controversial and disputed topic. The revised AORN surgical attire guideline will be available for public comment from Jan. 2, 2019 through Feb. 22, 2019. AORN anticipates publishing the finalized guideline in April 2019. In the meantime, consider ‘holding tight’ by not making any drastic changes to current practice or policy until the guideline is published while ensuring your facility ‘walks the talk’: comply with your current policy and whichever guidelines your facility states it is following.